(Jan 31, 2019) – Marijuana (sp. Marijuana), or cannabis (lat. Cannabis), is a psychoactive substance produced from annual bast-fiber plants of the hemp family. It contains particular substances – cannabinoids, the most effective of them delta-9-tetrahydrocannabinol, which affect the human body. There are three main types of cannabis: Sativa, Indica, and Ruderalis. Most modern varieties are hybrids, a set of genes (genotype) of which are genes of these species. In the fall of 2017, Poland officially allowed medical cannabis to treat patients with severe conditions. In Israel, cannabis medicines are considered an up-and-coming very promising industry. In Lithuania, medicinal properties of marijuana are being studied, and a bill on medical use is being prepared. For a start, it is worth remembering: the cannabis plant contains a significant amount of various substances. Among them is tetrahydrocannabinol (THC), which has a psychotropic effect on the human body. 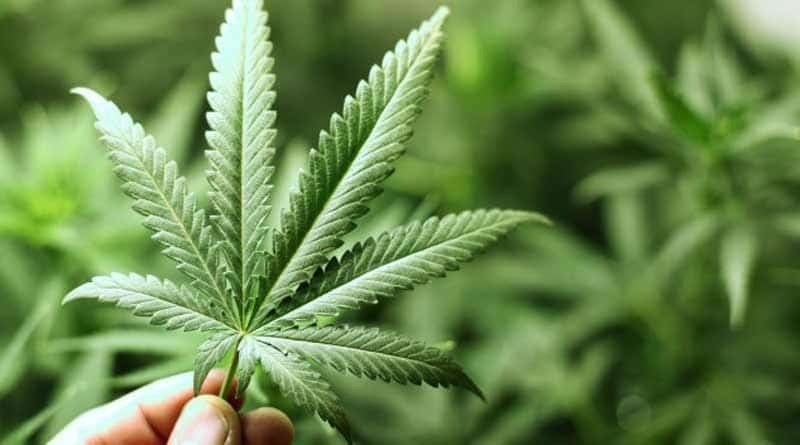 And also – cannabidiol (CBD), which has no psychotropic action, but it has a therapeutic effect in many diseases, in particular – epilepsy, oncological diseases, AIDS, post-traumatic disorders and the like. Breeders, including Ukrainian, have already brought varieties of hemp with a minimum content of THC. However, this substance, despite its “danger”, also has a healing effect – depending on the dose, combination, and diagnosis. You can use an innovative weed vape for this purpose. Negative consequences: anxiety, panic attacks, increased heart rate. Modern science already knows that endocannabinoids play an essential role in the organism of living beings: they serve as signaling molecules between neurons, which are released from a single cell and activate the cannabinoid receptor present on adjacent cells. Endocannabinoids are involved in the processes of digestion (appetite regulation), various inflammations, pain and stress processes, thermoregulation and metabolism, as well as in-memory mechanisms. Endocannabinoid 2-AG was found in cow and human breast milk. There is nothing inharmonious or useless in our nature. Such medical plants as cannabis are not an exception. It contains some bioactive components that make up the preparations based on this herb, it is possible to deal with many severe ailments and arrest their symptoms successfully. Quite often, medication from marijuana is used to improve appetite. It can also be used during chemotherapy to eliminate nausea in the treatment of cancer, reduces the risk of various tumors, and relieves muscle spasms. When pain syndrome marijuana in conjunction with opioids, in minimal doses, provides a lasting analgesic effect with the help of weed vaporizer. Such its quality allows patients with multiple sclerosis cancer, and some other diseases with severe pain to stop them and also use narcotic substances in minimal doses. – Chemical exposure; chronic neuropathic pain and insomnia; postoperative periods; neuropathic pain in HIV-infected patients; post-traumatic mixed pain; peripheral neuropathic pain. Therefore, the terms “medical marijuana” or “medical cannabis” are quite rightly applied to cannabis. Tetrahydrocannabinol takes one of the leading places in traditional medicine because it is capable of causing the body’s self-absorption process of on cell cells. Scientists came to this conclusion when they conducted experiments on laboratory mice. After that, volunteers with cancer tumors took part in a similar operation. The result was astonishing: in just ten days of the experiment, the growth of cancer cells in patients who use weed vape pen slowed down by half, while there were no toxic reactions and intoxications that occur with chemical therapy. This derivative substance is used in official medicine of the USA, Canada, and Western European countries. In addition to tetrahydrocannabinol, other bioactive cannabinoids have been isolated from cannabis, which does not have a traditional toxic effect. Some of them successfully treat candidiasis, malaria, Staphylococcus aureus, and other diseases. Marijuana is also able to affect glaucoma and reduce eye pressure. In the modern world, hemp, as a pure drug, has receded into the background in front of chemical preparations, from the sale of which a considerable profit comes. It is clear that due to modern technologies, advertising and propaganda of the mass media, many folk remedies have been undeservedly forgotten or are considered charlatans. But, despite all these factors, in traditional medicine, the use of the healing properties of cannabis continues. Hemp oil is also used for the more extended treatment of asthma: one teaspoon of it is added to warm tea or juice before bedtime. For Insomnia. If a person wants to improve his sleep not with chemist’s drugs with a lot of side effects, but with safe folk methods, then treatment of insomnia with marijuana is just the case. One-two hours before bedtime you should inhale cannabis through an evaporator or take a tincture of medical marijuana. Also, a sound effect will give this plant as a dietary supplement for two hours before falling asleep. With Epilepsy. Epilepsy is a neurological disorder that has been little studied, it happens for various reasons and has multiple forms. Anticonvulsant medications may relieve some of its types, but not all. Also, these drugs have a lot of side effects and can help about 60% of patients. Cannabidiol also has a positive anticonvulsant impact on some types of epilepsy, so it can be a good alternative in treating this disorder.